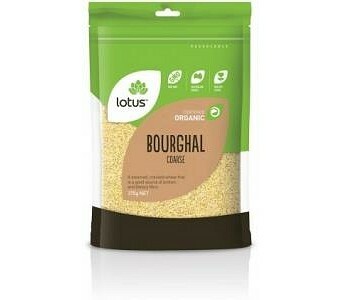 Lotus Organic Course Bourghal is a steamed, cracked wheat that is a good source of protein and dietary fibre. Ingredients: Organic Wheat. No Preservatives or Additives. Certified Organic by ACO.